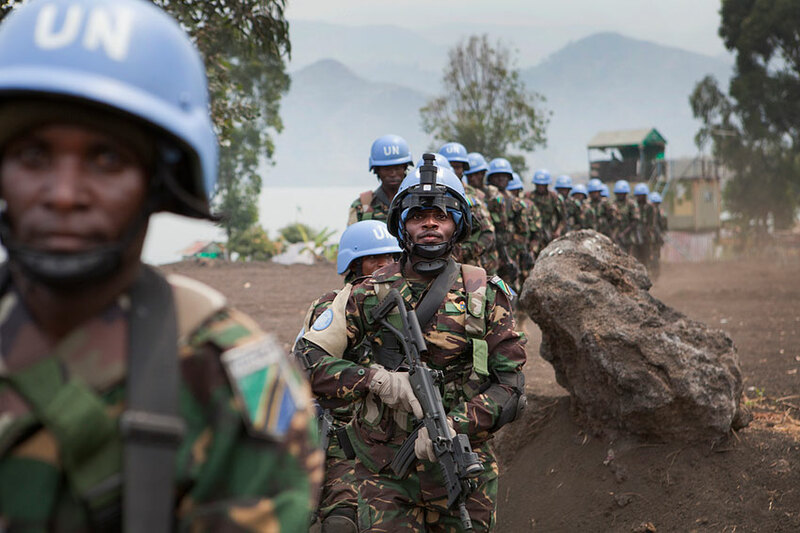 The military spokesman for the United Nations Stabilisation Mission in the Democratic Republic of Congo (MONUSCO), Lieutenant Colonel Amouzoun Codjo Martin last week outlined the security situation in North Kivu, particularly in the Beni territory, Masisi, Rutshuru, Walikale and Butembo. “Volatile” was the word he used to label the situation, characterised by numerous abuses on civilians. By way of example, last Wednesday, one civilian was killed, three wounded and three others kidnapped in a robbery in Rutshuru. To believe the leader of the Human Rights NGO Cepadho, who released this information, these civilians were passengers on board a public transport minibus, from Butembo to Goma. “They were robbed by armed men, around 9:30 Wednesday morning at Kahunga, 5km north of Kiwanja, between Kiwanja and Mabenga bridge. The assailants intercepted them in passing, firing several shots towards the bus to force the driver to stop. One passenger died on the spot and three escaped without serious injuries. The robbers took three other passengers as hostages and drove into the bush, apparently to later demand a ransom,” reported Omar Kavota, executive director of Cepadho, making note that for now, the injured were admitted to Rutshuru General Hospital. “We denounce the laxness of the authorities to these robberies repeatedly being seen as an acceptable situation and draw to the attention of ministers of the central government from North Kivu that the situation of insecurity continues” he concluded. Last week in the Beni territory, said the peacekeeper, elements supposedly belonging to the ADF, for reasons of logistics supply, launched an attack against the civilian population and DRC military, FARDC, positions in the Bakila-Tanambo and Mamiki regions, 2 kilometers to the east and north-east of Oicha. One woman was killed, two individuals kidnapped (1 female and 1 child), and 12 homes burned during the attacks. “These incidents have resulted in the displacement of local populations to communities located in the South and Mbau. Special Forces troops from the Tanzanian and Malawian contingent of the Force Intervention Brigade based in MONUSCO and Mavivi Oicha, were immediately dispatched to counter the attackers, strengthen DRC military units, monitor the security situation in the region, and reassure and protect civilians,” stated the military spokesman from MONUSCO. In Kitchanga, in the Masisi territory, FARDC troops arrested some members of the Alliance of Patriots for a Free and Sovereign Congo (APCLS), in particular an influential member known as ‘Tito’, causing the organisation to arrange a protest demonstrating against the detention of Hunde residents by individuals close to the FARDC camp. Two demonstrators were injured during the events. In the Rutshuru territory, the security situation has deteriorated with the escape of 34 inmates at the central prison, including many dangerous criminals. One of them, ‘Rukara’, immediately resumed criminal activities by kidnapping a motorcyclist in Kasanza and molesting teachers in Cumirwa. 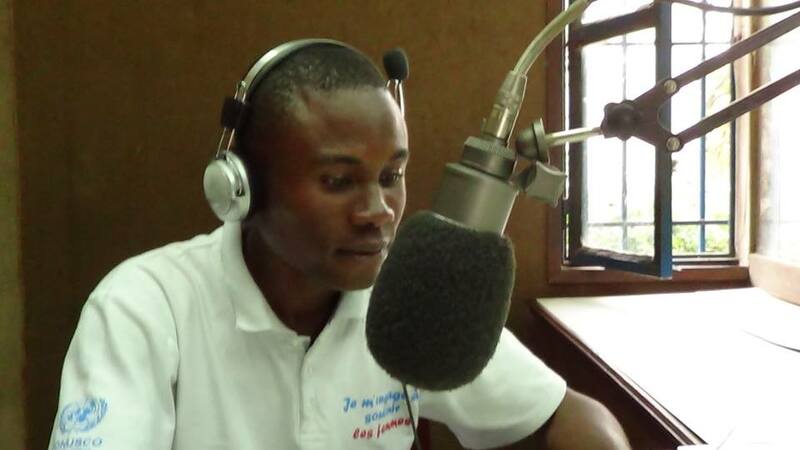 He was finally arrested on October 15th by agents of the Congolese National Police (PNC). The security climate has also deteriorated in the territory with several incidents of looting, kidnapping and ambushes perpetrated in different localities by unidentified armed elements. In Walikale, the security situation has been disrupted by the activity of armed groups in some areas of the province. On 13th October, elements belonging to the armed group Nduma Defense of Congo (NDC) raided the Pinga area, located 95 kilometers northwest of Goma, kidnapping and holding five individuals hostage, in addition to looting valuables. On 14th October, houses were looted and burned and a woman kidnapped by renewed elements of the NDC in Pitakongo, 45 kilometers northwest of Luofu in clashes with elements of the Democratic Liberation Forces Rwanda Rally for Unity and Democracy (RUD – FDLR). In the territory of Butembo, the security environment has been disrupted by negative activities perpetrated by elements of the Mai-Mai group. On October 15th, according to local sources, Mai-Mai elements from the ‘Simba’ faction raided the village of Kambau, located approximately 87 kilometers northeast of Butembo, abducting five men and seriously injuring one individual. “However, despite this activity by armed groups in the above mentioned territories, UN troops and Congolese forces generally keep under control the security situation in this province,” assured Lieutenant Colonel Amouzoun Codjo Martin. Asked about the resurgence of insecurity, the deputy representative of the UN Secretary General in the DRC, Humanitarian and Resident Coordinator of the UN System, Mamadou Diallo, noted that a combination of forces between the FARDC and peacekeepers will eliminate these armed groups, reiterating his call for a resumption of military cooperation between the two forces.